Region Ten has been allocated its largest ever budgetary provision of $3.9 billion, an increase of over $500 million when compared to 2018’s allocation and this has spurred more interest in agriculture. 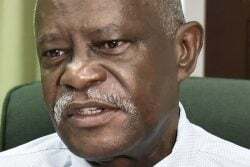 According to a Department of Public Information (DPI) press release, Regional Chairman, Renis Morian, recently announced that in light of the increased allocation, agriculture will now be a programme head at the RDC. This will enable farmers to promote measures of diversification, since they will now be receiving the financial and technical assistance to do so. Morian explained that the RDC is aiming to strengthen the region’s food security base and to limit its dependency on other regions for agricultural produce. He said that programmes to raise awareness on the importance of agriculture will be initiated and technical and material support in the form of training, seeds, tools, etc., will also be given to all those who take up the mandate to farm, the DPI release also added. The chairman also stated that the RDC has been motivated by the many farmers and even residents who have come forward and have shown an interest in agriculture and even started their own subsistence farming in their kitchen gardens. He called on all stakeholders and local leaders to come on board to holistically push agricultural production in Region Ten. 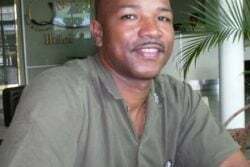 Founding member of the Linden Farmers Association, Godfrey Edwards, shared that the Region Ten farmers are very eager about the move, more so that talks were already being held for the diversification of the sector. Edwards said farmers will no longer focus solely on traditional farming but will be incorporating livestock rearing and more noticeably, value-added production. He is optimistic that with the needed assistance from the RDC, the projects will be successful. “We were looking at a shift in the programme, we were looking to commence the production of ham, sausage and bacon and to move away from traditional farming,” Edwards was quoted as saying. He commended the regional officials for realising the potential in the farmers and putting systems in place for them to receive the necessary assistance and the farmers for working together. One of Linden’s popular farmers, Owen DeSouza, has already been successful at diversification. 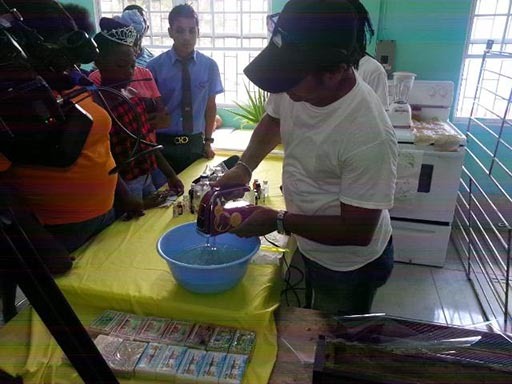 Primarily a coconut farmer and coconut agro-processor, DeSouza also plants other traditional and medicinal crops which he processes into soaps, powders and other byproducts. He commended the RDC for this move as he feels it will enhance the livelihood of farmers and also praised the other farmers for thinking outside of the box and seeing the benefits of diversification. “There are a lot of farmers that have a vision but no finance and I really do look forward to the 2019 agricultural agenda, since it will encourage farmers as well,” DeSouza was quoted as saying and stressed that farming can create hundreds of jobs in Linden since it provides same from the nursery to the factory and therefore should be seriously considered.